Dr Peng Wang received his B.Sc. degree from Xian Jiaotong University, China, in 1978, and M. Sc. and Ph.D. degrees from the University of Saskatchewan, Canada, in 1995 and 1998 respectively. He has being served as committee member, deputy chair and chair of IEEE PES Singapore Chapter for more than 10 years. 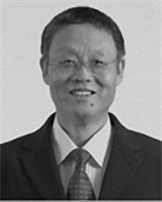 Currently he is an associate professor in Nanyang Technological University, Singapore and honorary professor in Taiyuan University of Technology. His research areas include power system planning, operation and reliability analysis; power market analysis; renewable sources integration; AC, DC and hybrid AC/DC microgrids; and smart grid operation and control. He is PIs and Co-PIs of the over S$20m projects from different companies such as Rolls-Royce, Schneider Electric Singapore, Alstom, ST-Electronics, and different government organizations in Singapore and USA. He is also an international adviser for two largest projects with over RMBұ50m from Chinese Government. He has published over 250 papers in prestigious journals and international conferences with over 4000 citations and H index 32 and received two best paper awards in two international conferences and the outstanding power engineer award from IEEE PES. He has been invited to give talks in many universities and conferences. He is an associate editor of IEEE Trans on Smart Grid.